To help you choose the right itinerary, please fill out our Tour Enquiry Form. 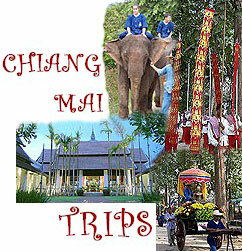 We can then help you choose a suitable tour. How many people will be travelling in your group in total? What grade and location of accommodation do you require (if you checked "yes" for accommodation)? Any additional requests or questions, please write in the box. Chiang Mai Whitewater Rafting trips. International standard rafting - daily trips from June - February.